And then just this weekend on my way to the airport I get a message from Lorena with the photo on the right, also Mishelle, with these words: “Our Mishelle publicly recognized after a presentation, being honored for having one of the best GPAs in her university class. 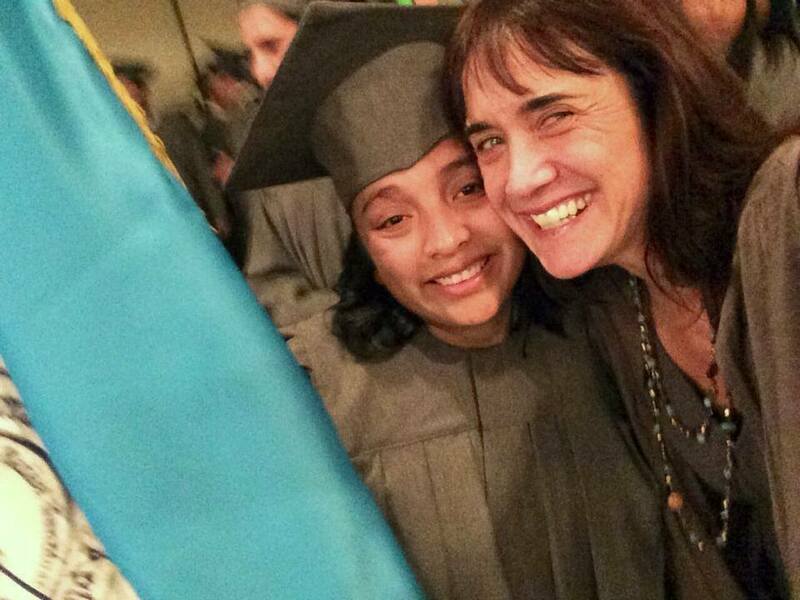 She is finishing up her course work and is on track to graduate with a professorship in English this coming May.” Mishelle went from the top of her high school class to top of her university class! More tears of pride. I am awestruck by the accomplishments of our students. It’s so incredible to witness how our supportive, loving environment is the bridge to great achievement. Whether it’s struggling students who finally begin to thrive or strong students who navigate their way to excellence, we know that our multi-faceted support is a foundational element in their success. Each donation that makes our work possible is woven into the fabric of all of these achievements. Thank you for helping to make so many ordinary and extraordinary triumphs possible. 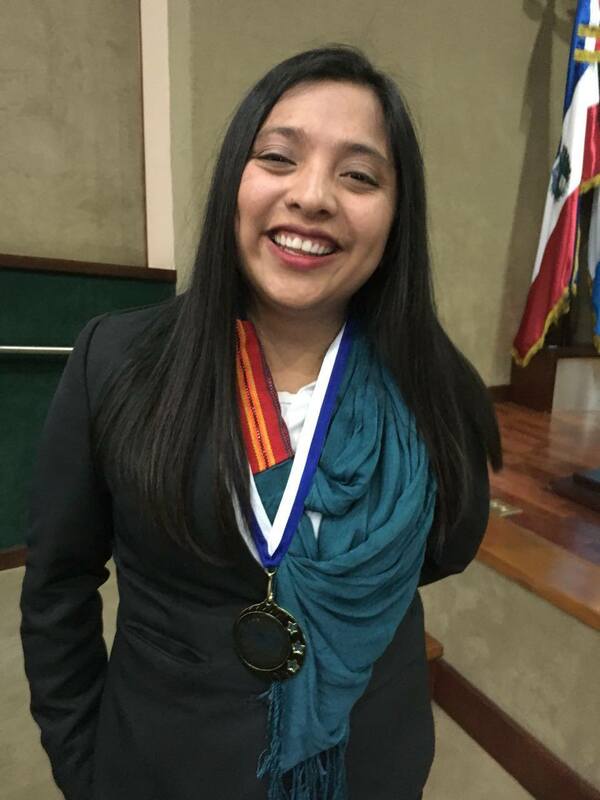 ¡Felicidades Mishelle!